Oh, how we adore this Holiday Chocolate Toffee recipe! If there was ever a candy that was made for the holiday season, this has got to be right near the top of the list! I would recommend to double or triple the recipe because these sweet treats go very, very fast! 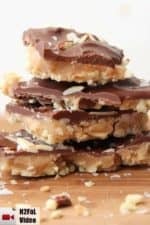 Just to show you how easy it is to whip up this amazing Holiday Chocolate Toffee recipe, we want to invite you into our kitchen as we make a batch! We just can’t rave enough about this candy. This has been a tradition in my family since I was a young child and now, never a Christmas goes by where I don’t make at least 2 batches. It’s so much fun to watch the chocolate bars melt right on top of the hot toffee. Then, all that’s left is to wait a bit for it to harden up, and then time to dig in! Nothing spells the holidays like tins full of wonderful Christmas candy. 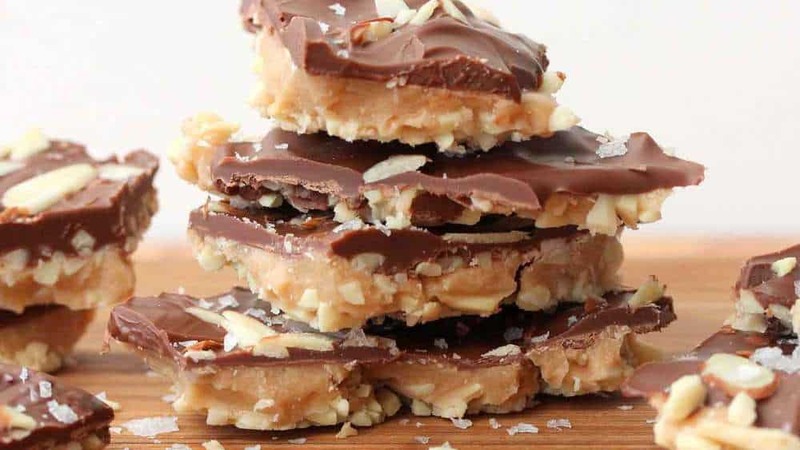 And this Holiday Chocolate Toffee recipe is about as good as they come! Be sure to leave a few nibbles for Santa! Now, park the reindeer and get into your kitchen and make this amazing Holiday Chocolate Toffee recipe! 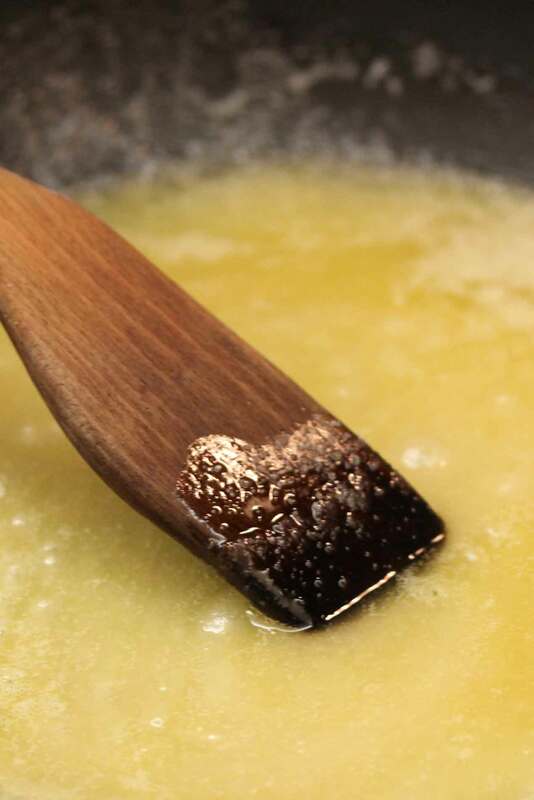 Melt the butter with the sugar over medium heat, stirring frequently. 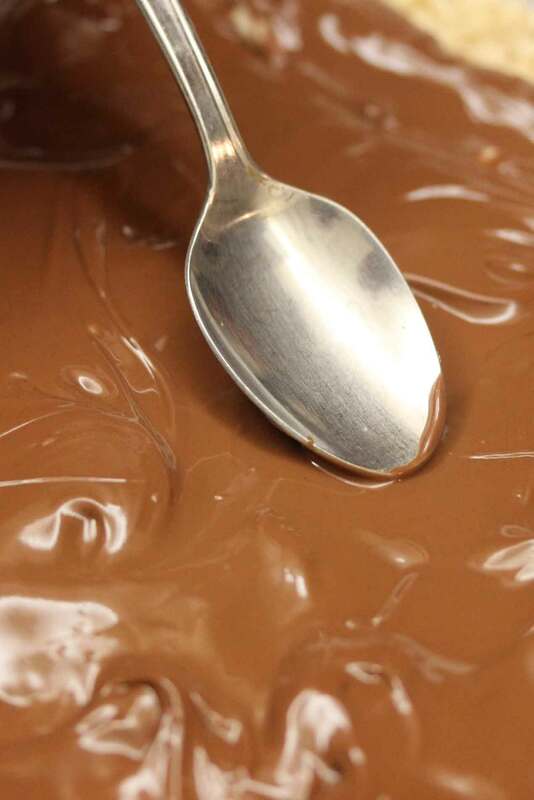 As the chocolate melts, smear slightly with your fingers or back of a spoon to cover the toffee. Sprinkle the sea salt over the top. Let rest about 20 minutes then place in the refrigerator until hardened, up to 1 hour. Cut into pieces and serve in festive holiday tins. Love candy,but as usual diabetics have to limit suger,none in apt at moment! 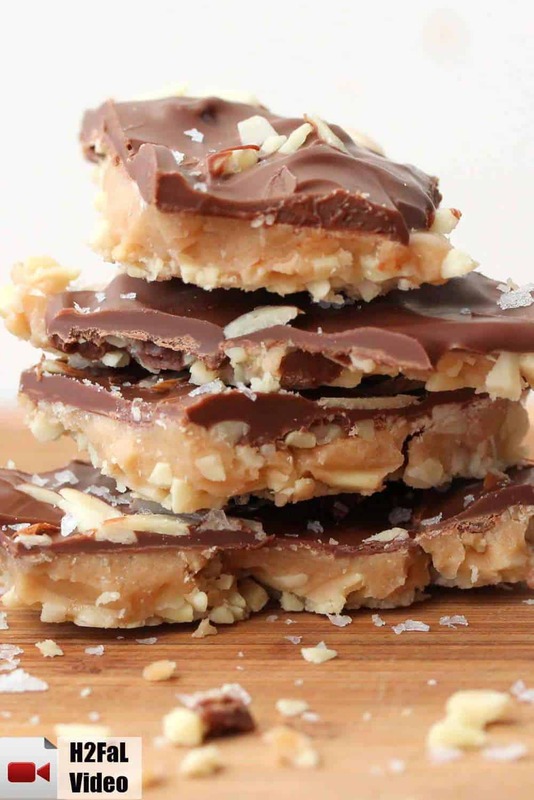 Your toffee looks beautiful. Would you please tell me at what temperature you take it off the heat? I made the toffee but it didn’t turn out like yours from the video. Is their something missing from the recipe? I’m so sorry to hear that! What happened when you made it? Sometimes the butter starts to separate, but if you stir it pretty vigorously and then pour right onto the almonds, it will still set and harden nicely. I’ve made it before using a stick and a half of butter, and that works, too. You just have to be careful to not let it thicken too much because it will then quickly burn. How much did you drink before you filmed this??? Very entertaining. Done and done. 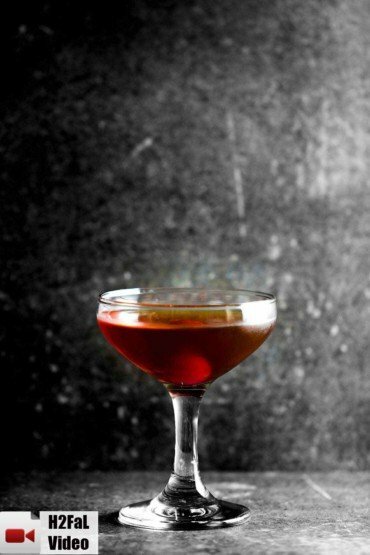 Recipe saved, and on the menu for my “Canapes, Candy & Christmas Cap” party. Thank you so much, and Happy Holidays to both of you! Love you guys… and all the great recipes.